Around the selection of a new high representative for the EU foreign and security policy the thought that this post is usually given to a person with no foreign policy experience frequently crosses one's mind. This was the case with the first high rep after the introduction of this post with the Lisbon Treaty in 2009. Back then, after continuous horse-trading baroness Catherine Ashton was selected. Her hearing in the European Parliament ended with mixed feelings. Some said she performed badly, while others claimed the opposite. Heavy horse-trading accompanied the nomination of Italy's Foreign minister Federica Mogherini as well five years later. The doubts in her capacity to take the post were even bigger than Catherine Ashton's because of the current geopolitical moment against the background of which her little experience emerged as a major flaw. 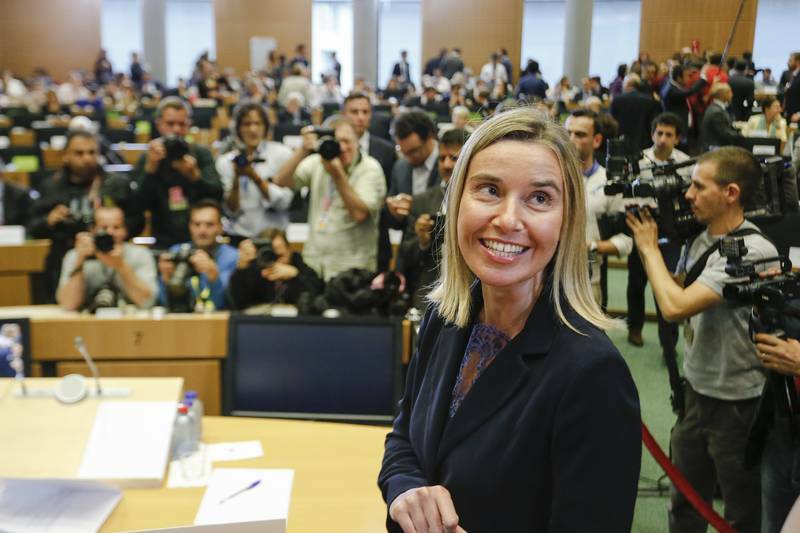 Federica Mogherini has been a minister of foreign affairs since February this year. She is 41 years old and her CV is rather short. She was a member of the Italian parliament where she was in the foreign affairs committee. She was also a secretary for foreign and European affairs in the Democratic Party, currently led by Matteo Renzi, the prime minister. Apart from the lack of experience, another serious flaw of Ms Mogherini's was her and her country's position in terms of Russia. This provoked some ten EU member states to open an opposition front against her but in the end they accepted her. And they have nothing to regret. To be heard in the foreign affairs committee, the second most powerful and influential parliamentary committee after the economic one in the European Parliament, appeared a very different Federica Mogherini - with already established positions, with a clear vision about the challenges the EU is facing, with very well done homework, with charm and wonderful sense of humour. After three hours of questioning on various issues from the foreign policy portfolio, Federica Mogherini left the MEPs, and journalists and analysts for that matter, in rapture. All the time, Ms Mogherini aired confidence and complete openness to the MEPs. For the past several months, since her name started circulating withing the European "bubble", as is the slang for the European institutions, she demonstrated that she learns fast. She also showed that she has a nose for what is important. Yet with her opening remarks she disarmed the MEPs by ironising herself and responding to questions she anticipated to be asked. A month ago she stood in front of the foreign affairs committee for a hearing but in her capacity as a representative of the Italian presidency of the Council. Then she demonstrated very good knowledge of English and French. On 6 October she apologised to the MEPs for speaking in English only because, she said, it took her more time to think in French and she only had 15 minutes to draw the plans for the next five years that affect the whole world. This is very difficult and for an Italian it is practically impossible, she said. In her opening statement and also in her written answers to the MEPs before the hearing Federica Mogherini outlined very precisely what the most painful areas are in the current state of the "common" EU foreign policy and she drew a plan how to remove the quotation marks. This will be the biggest challenge, but there is no doubt she will do everything possible to do it. Why? Not only because she said that she really meant what she said but also because she committed to work very closely with the European Parliament. 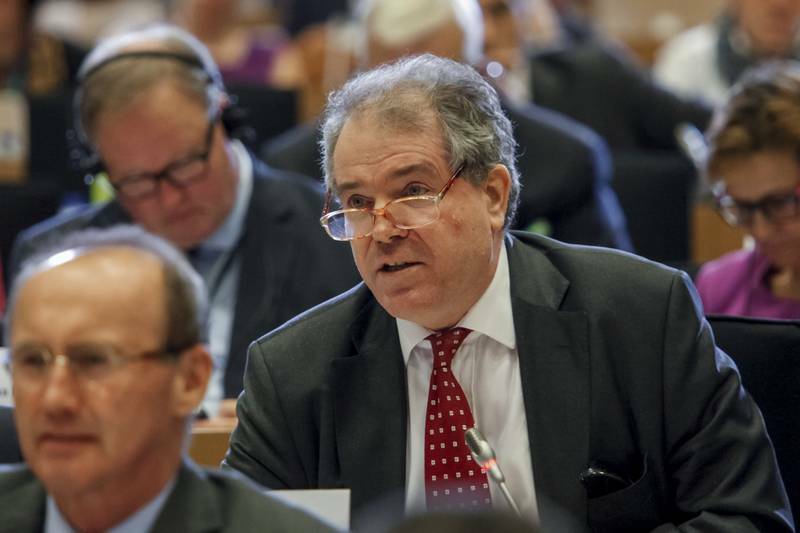 This will happen in the form of regular meetings in the foreign affairs committee before every Foreign Affairs Council which is a very serious step forward in involving the European Parliament in setting the tone of the European foreign policy. Either she or her representatives will participate in these meetings depending on the agenda. These could be the neighbourhood policy and enlargement negotiations commissioner, Johannes Hahn, or Neven Mimica, the regional policy commissioner. This can be anyone whose portfolio has an external dimension and that is almost all of them. It will be a success for Federica Mogherini if she manages only to find a common denominator of all the 28 foreign policies in the EU. Currently, she said, we have 28 foreign policies and no one wants us to have a 29th, i.e. of the Commission or Federica Mogherini's. However, today's challenges demand building a common vision. And this should happen in time, not when we are already on the negotiations table. "It is too late when we get to react to a crisis that is already in place. We need to share a vision from the very beginning", Ms Mogherini pointed out. That is why she will start her term with a tour of all the 28 member states, starting from Latvia which takes over the rotating presidency from Italy on 1 January. During her tour she will not only meet members of the government, but also parliamentarians, MEPs from each country, non-governmental organisations, think-tanks, academia, which is a very ambitious and long due task. The final goal for the next five years is to forget "‘us’ and ‘them’ when the European institutions refer to each other, and there is just ‘us, the European Union’ – that being the Commission, the EEAS, the Council and the European Parliament". 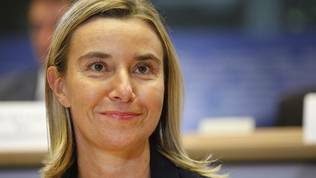 Even that suffices to approve Mogherini's nomination because no matter how many ideas she might share that we like for resolving the Ukrainian crisis, the situation with the terrorist organisation Islamic State, the conflicts in the Middle East or the enlargement, they would be completely useless if they do not receive full support by the member states. And there are lots of challenges. The EU should ensure full support for Ukraine in terms of its security, institutional reforms, political processes, economic and energy challenges. Moldova and Georgia, too, need support. Work is needed with Armenia, Azerbaijan and Belarus. With Russia, too, as the most immediate task is to work for the full implementation of the Minsk agreement. Islam but a major global threat and a threat to all of us". Africa is not only a receiver of funds but a partner. All these challenges need to be approached simultaneously because they cannot wait, Federica Mogherini summarised. No more piecemeal work. But how to do that? Apart from the tour of the member states and the active work with the European Parliament, Federica Mogherini plans also a review of the European Security Strategy which, according to her, is deeply outdated. The global and regional circumstances we live in have been radically transformed, she said and that is why we need to think of a new strategy. It might not be a full fledged strategy, it could be only a white paper or else, but the most important thing is to build strategic thinking. "We should think big", was her appeal. An essential part of such thinking should be defence and this was key in the statement of the Italian foreign minister upgrading on the quite vague statement of Jean-Claude Juncker in the European Parliament in July when he presented his priorities as a chief of the European Commission. Then he only hinted of increased defence cooperation among the member states and Federica Mogherini further developed the idea. It rests on the strategic guidelines the leaders of the member states agreed in June and which, too, are quite vague. To Federica Mogherini a major compass will be Article 21 of the Treaty, which states: "preserve peace, prevent conflict, strengthen international security". According to her, the right path is to restore the cooperation in the area of defence in the form of pooling defence efforts and resources, but is aware that this will be very hard. To do that, the member states need to be convinced that it is necessary. For now, judging from the June conclusions and the December conclusions the member states have reaffirmed their commitment to work together. 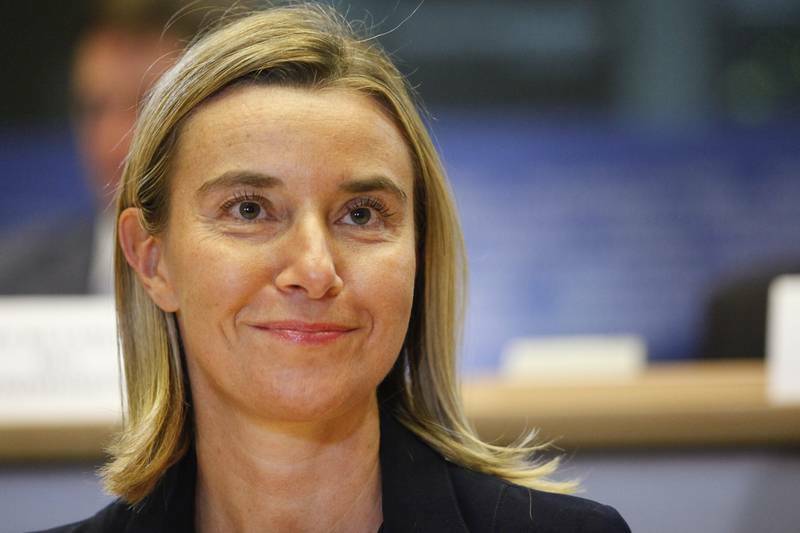 Federica Mogherini's task will be to check and ensure that these commitments will not remain on paper only. Against the backdrop of the provoking scepticism statements of Jean-Claude Juncker and the enlargement negotiations commissioner regarding the EU's enlargement to the Western Balkans, Federica Mogherini's statement sounded much more encouraging. To her, a major principle in her work will be that not only the neighbours are important but their neighbours as well. That is why a major priority will be to "take care of our part of the world", starting from the Balkans and Turkey. "I believe that the enlargement policy is the best, if not only, guarantee for long-term transformation in terms of democracy, stability and economic development". To her, a priority number one in this regard will be Bosnia and Herzegovina after the elections which will take place on 12 October. It never came to the details, but at this stage it is not necessary either. She pointed out, however, the poor infrastructure connectivity on the Balkans. It is easier to travel from any of the capitals in the region to Vienna than between one capital city to another, she illustrated the situation. Second is the eastern policy which needs serious European attention. 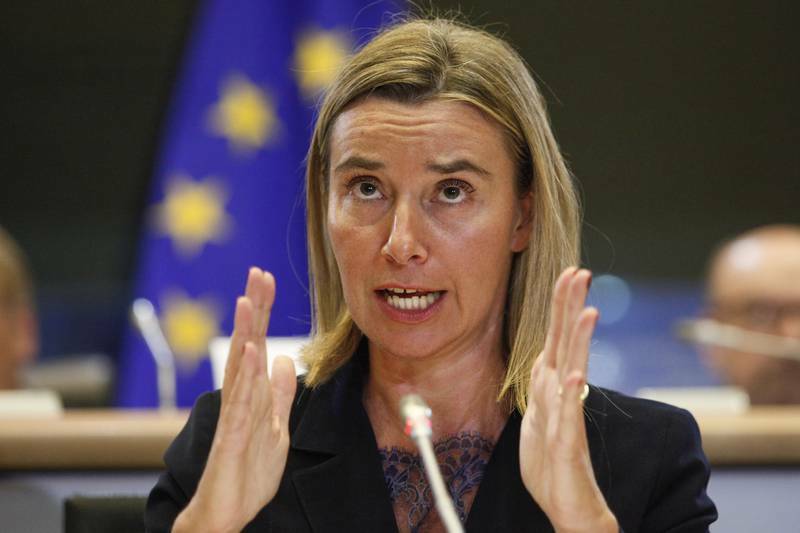 Nothing to the east, however, will happen without Russia, was Federica Mogherini's message. She reminded the MEPs that only a month ago she told them that Russia no longer was a strategic partner, but it is a strategic country globally and is a neighbour of Ukraine. This means that a deep reassessment of the relations with Russia needs to be made in the next five years. 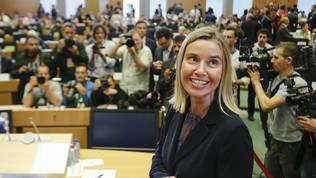 Mogherini completely excluded a military solution. To better understand how to deal most effectively with Putin we need to talk to Ukraine, she said, and to hold an in-depth discussion. Russia is trying to convince our neighbours that the EU is a bad choice. We have to convince them in the opposite. But to do that, another major problem needs to be resolved within the EU and that is when a group of member states sees something as a threat the others should not ignore that. This is precisely what happened with Russia. Poland and the Baltic states were warning for months that what Putin had been dong in Ukraine was a serious threat, but the others underestimated the threat until the Crimea was cut off. As a matter of fact, five years ago the then candidate for EU's high rep Catherine Ashton saw a threat in Russia. The memory of the gas crisis in the beginning of 2009 was still fresh and that is why during her hearing in the European Parliament lady Ashton said the EU needed good relations with Russia but to achieve that it needed to have a clear energy strategy. "It is very important as well Russia not to view the energy as a political issue", were her words in front of the foreign affairs committee. They were repeated five years later by the candidate for neighbourhood policy commissioner Johannes Hahn. And to Federica Mogherini the leading principle will be "prepare for the worst, hope for the best". 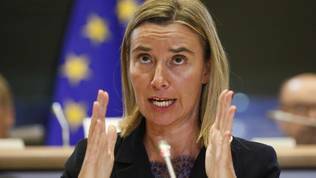 The biggest problem in the relations with Russia, however, is unity and Federica Mogherini demonstrated it very clearly. She said, responding to a question how would she react if Russia tried to create a corridor to the Crimea, "we should stay united". The member states, she explained, have a different sensitivity, but "we managed to stay together". Obviously, this is not for granted and every time she would need to work to achieve a single position. The human rights have always been the foundation of the European foreign policy which is why EU has always been referred to as a soft power. In the past years, however, they were moved to the back seat, especially in terms of Russia, but also when it comes to China. The situation dramatically changed after the Arab spring, the beginning of the war in Syria and the re-inflammation of Iraq. According to Federica Mogherini, though, this should be the EU's guiding light. There should be no exception when this principle is applied as set in the Treaties under Article 21. However, to be able to do that the EU should be irreproachable at home too. Something Mogherini hinted, saying that "as Europeans we have a particular responsibility in developing a coherent agenda, including our internal policies, and let me mention three main domains and I know we can come back to these: media freedom, women and the freedom of religion". All of these are things that see deterioration in EU itself. The fact that she mentioned it and that Jean-Claude Juncker gave his right hand that portfolio plus the rule of law means that this European Commission really means to fight for the human rights. This was another very important but less discussed idea of Federica Mogherini. 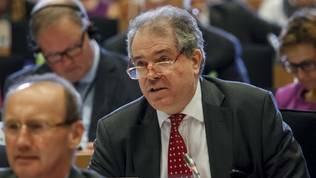 Regular delegations of the European Parliament to travel to hot spots around the world because that could significantly contribute to building flesh to the bones of the the common European foreign policy. But the issue did not provoke any interest by the MEPs, at least during the hearing. Ms Mogherini was disappointed in the end of the hearing that she was not asked to elaborate on the special partnership she wants to establish with the MEPs, although she assured them many times how good she felt to be among them. She did not need to assure them at all because it was obvious that she enjoyed discussing foreign policy issues with them. As she explained it, she liked the intellectual aspect, too. Will she feel as comfortable in the Council as well, where will the toughest part of her job be we are to see. However, there is no doubt at all that Federica Mogherini is from a new generation European politicians who will bring new blood in the now too rusty European machine. If she succeeds in building that special partnership with the European Parliament she talked about and to impose the tradition the agendas of each Foreign Affairs Council to be discussed in the foreign affairs committee of the European Parliament in advance this will certainly wake the member states up by focusing their attention on what is important for the EU at large not only for the member states. Even that will suffice to claim a successful term of the new high rep for the foreign policy.